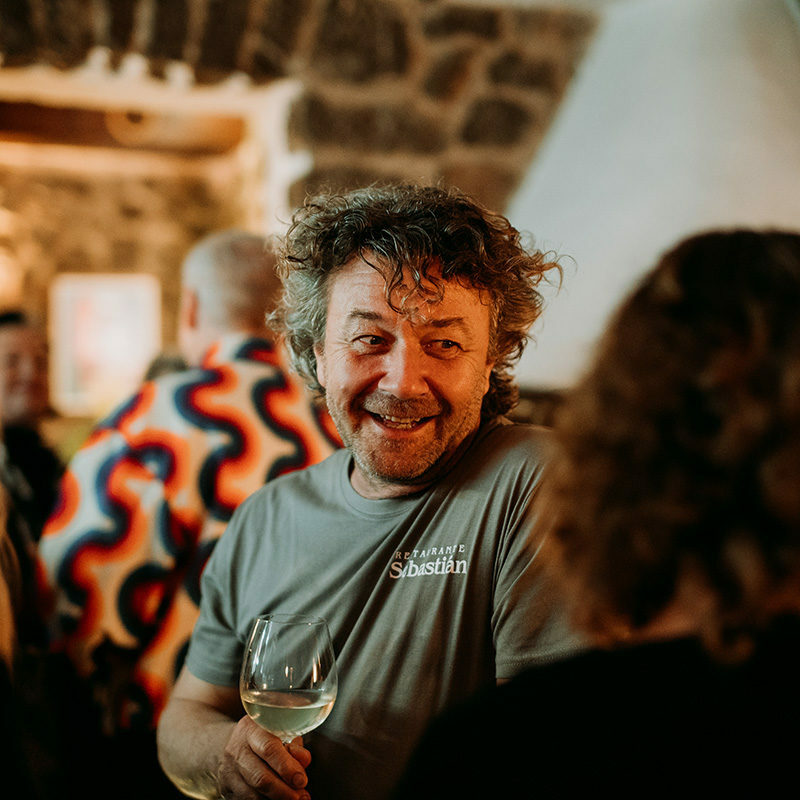 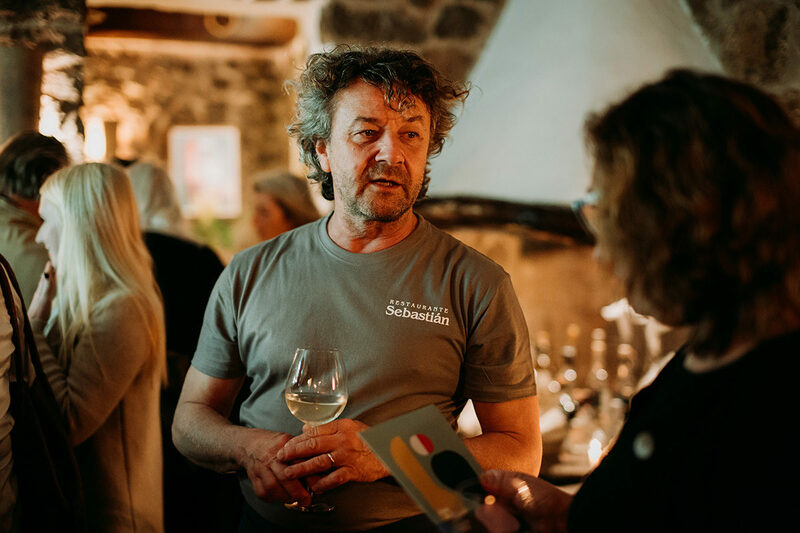 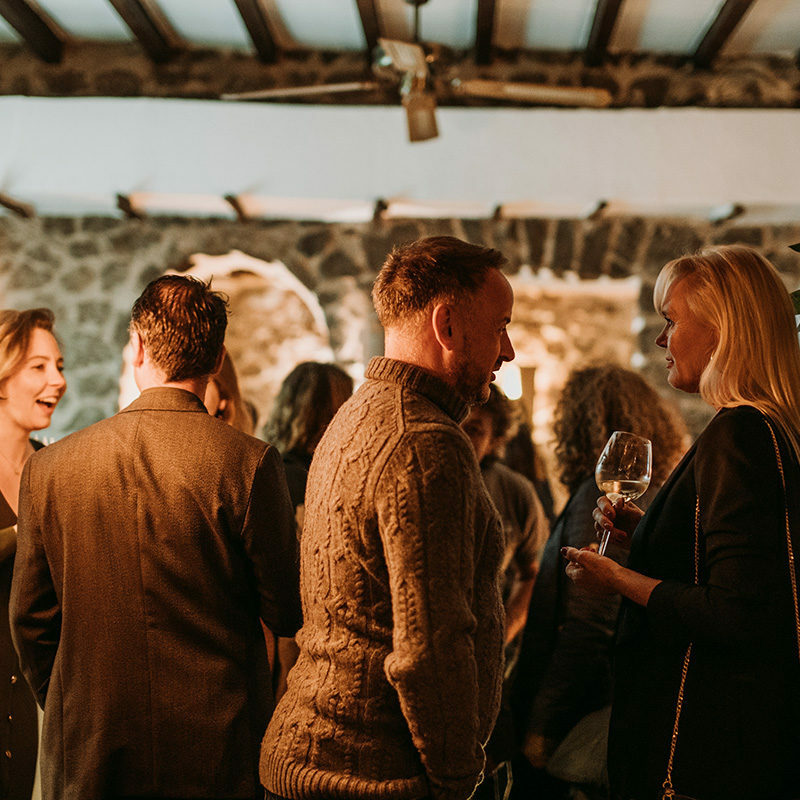 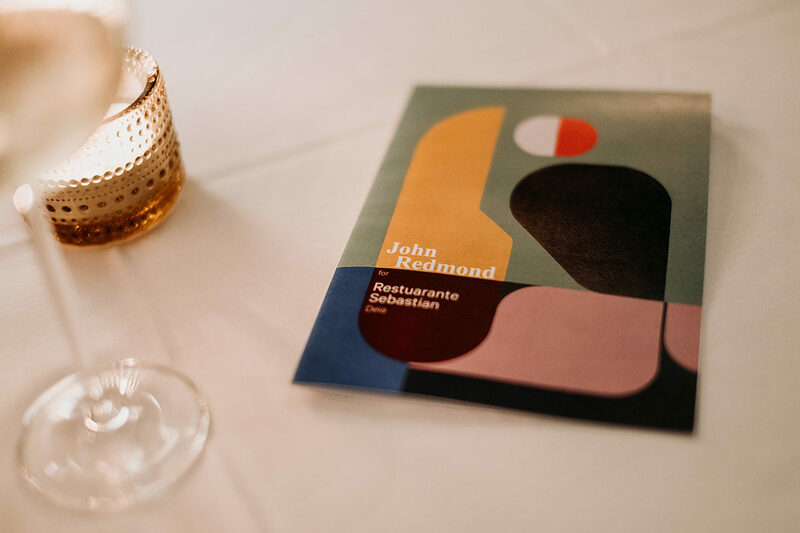 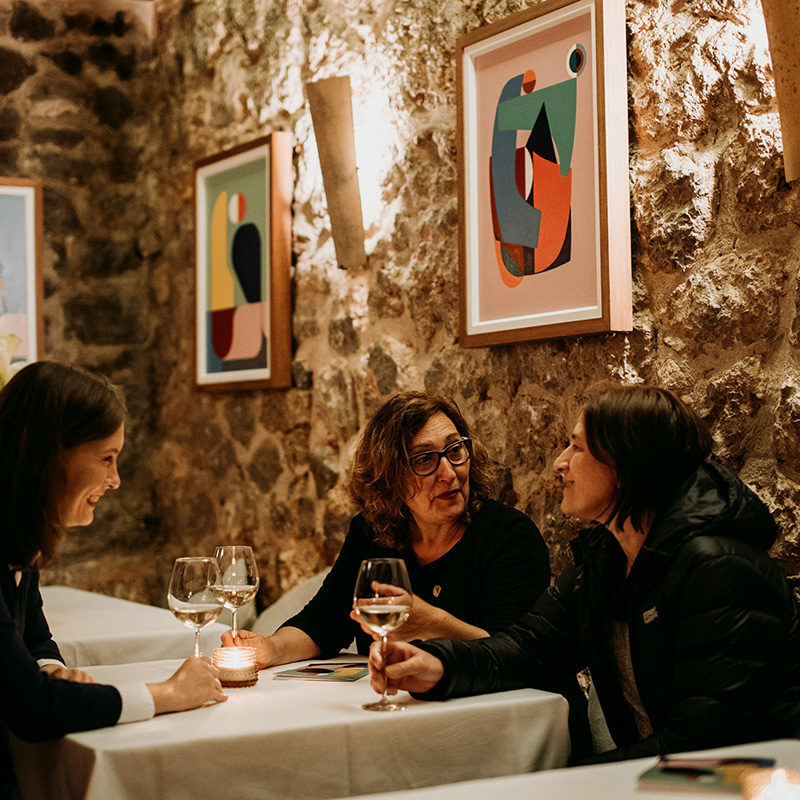 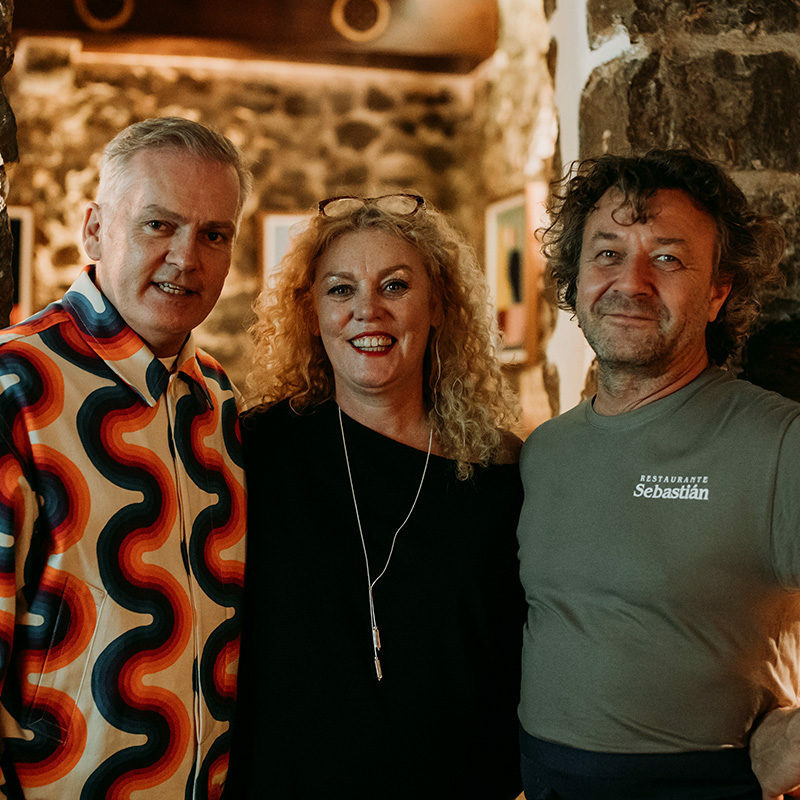 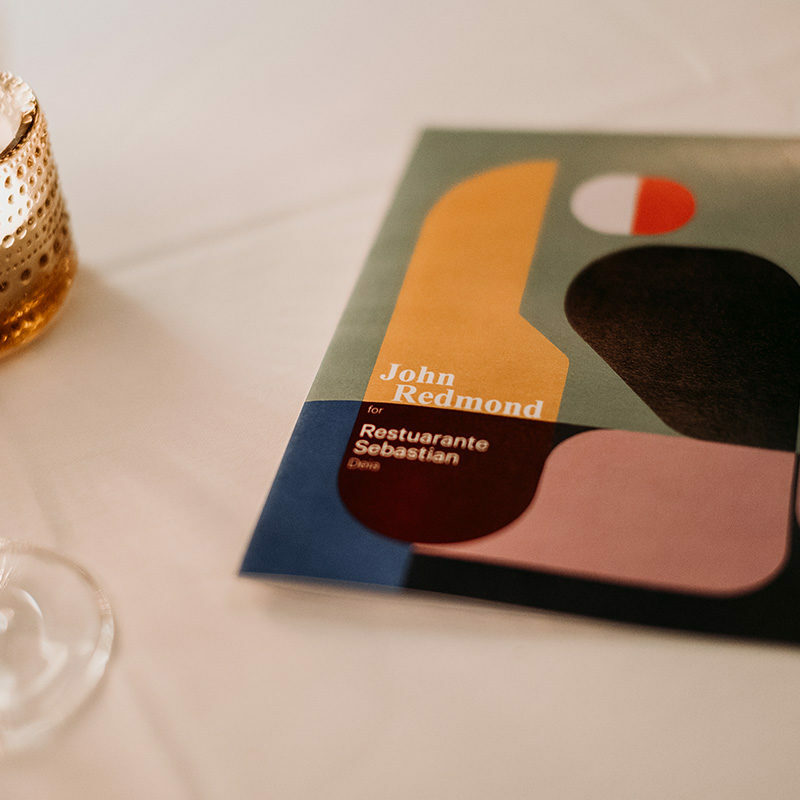 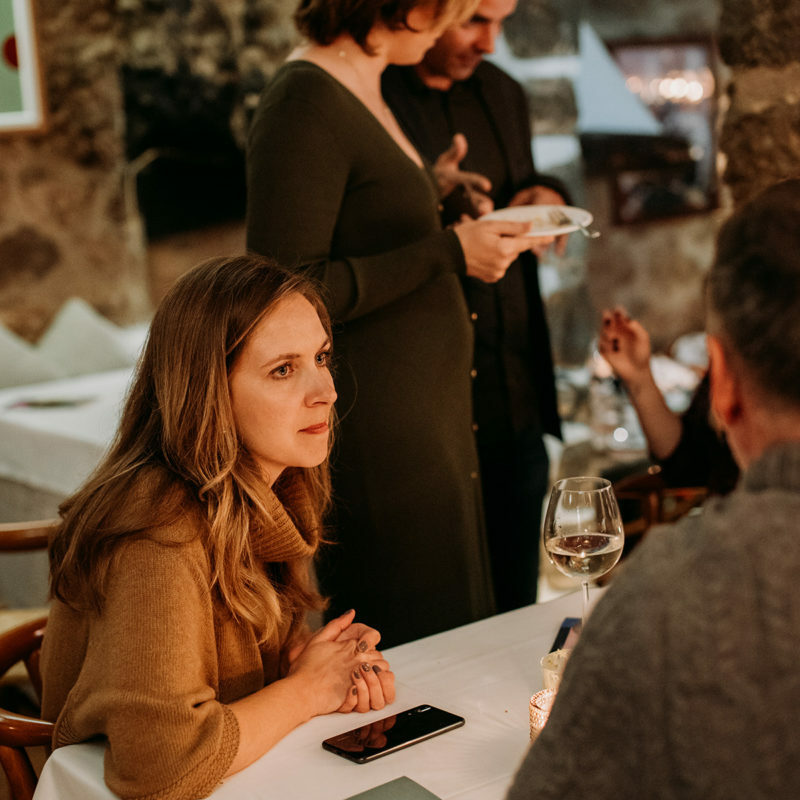 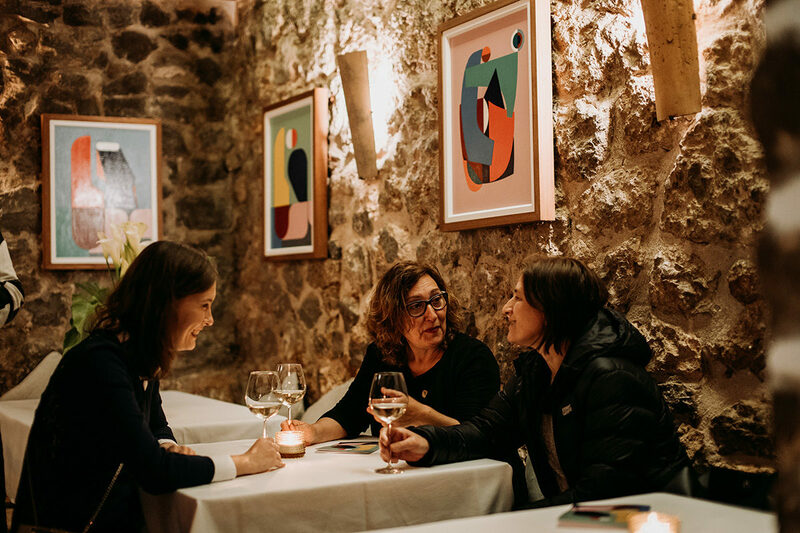 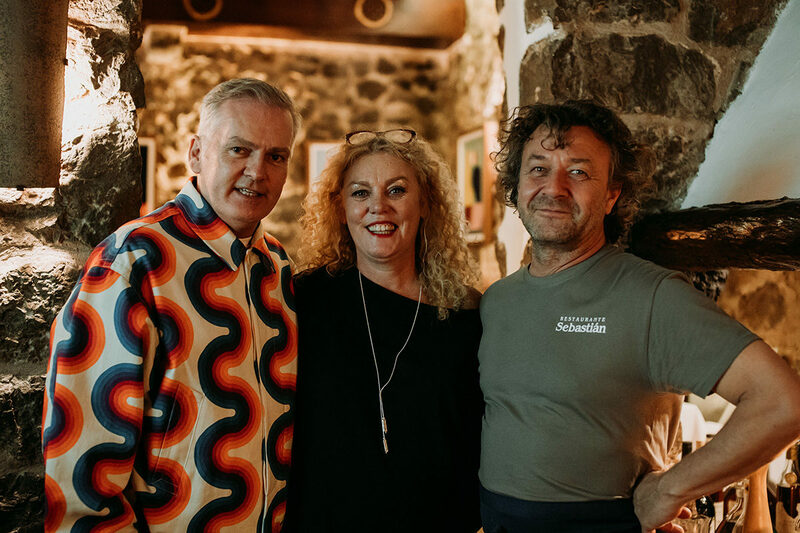 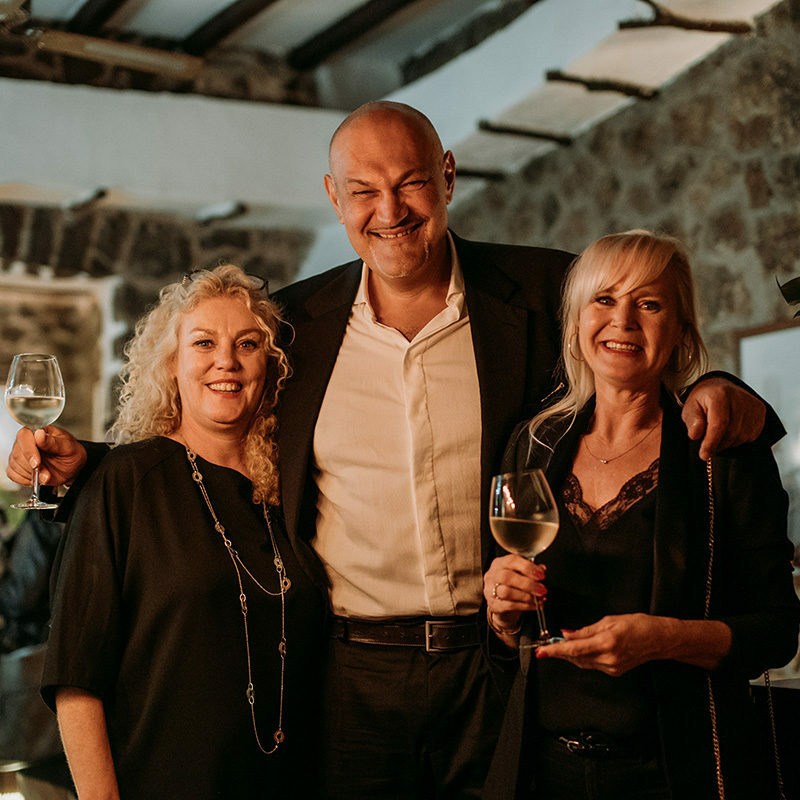 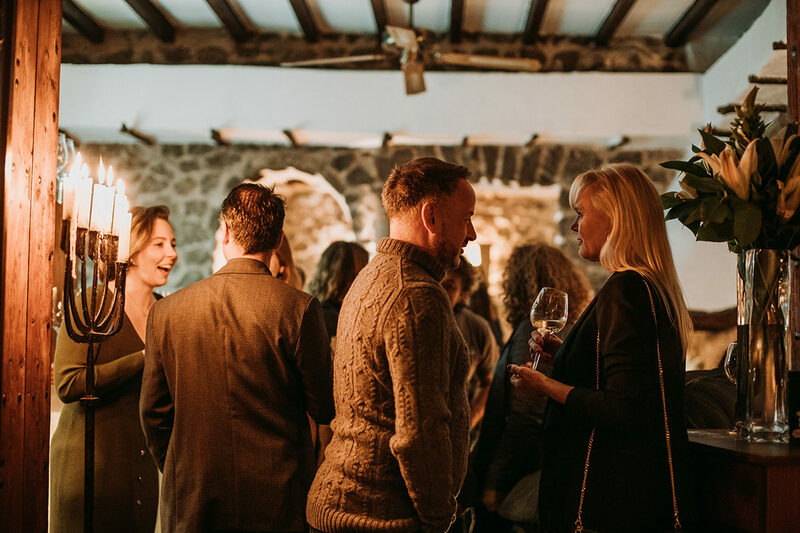 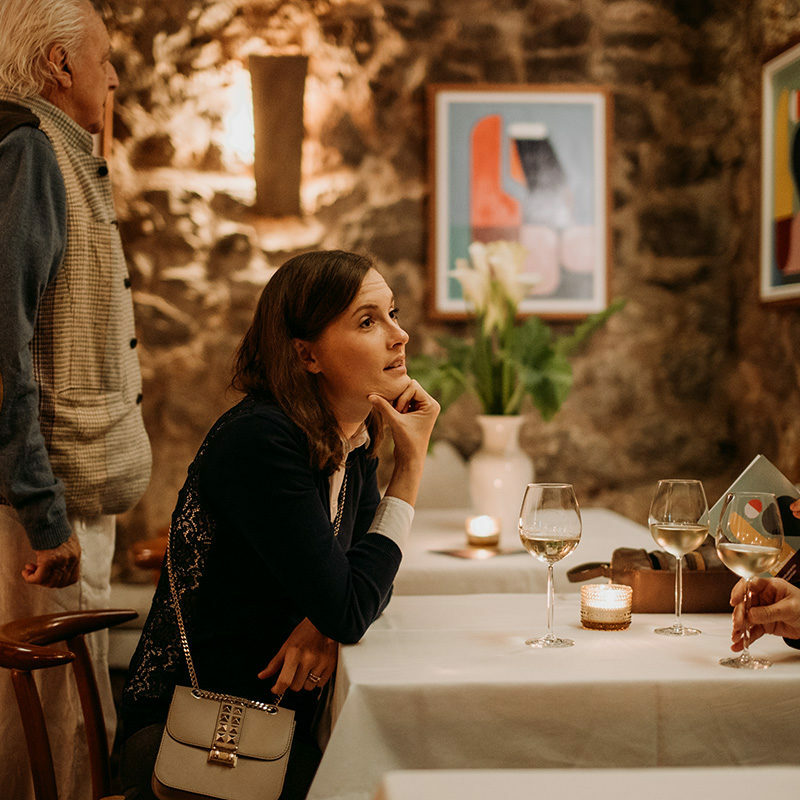 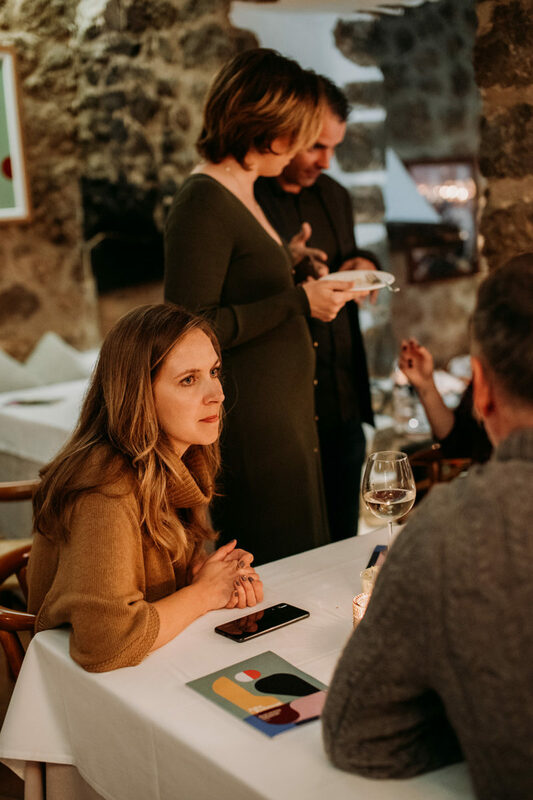 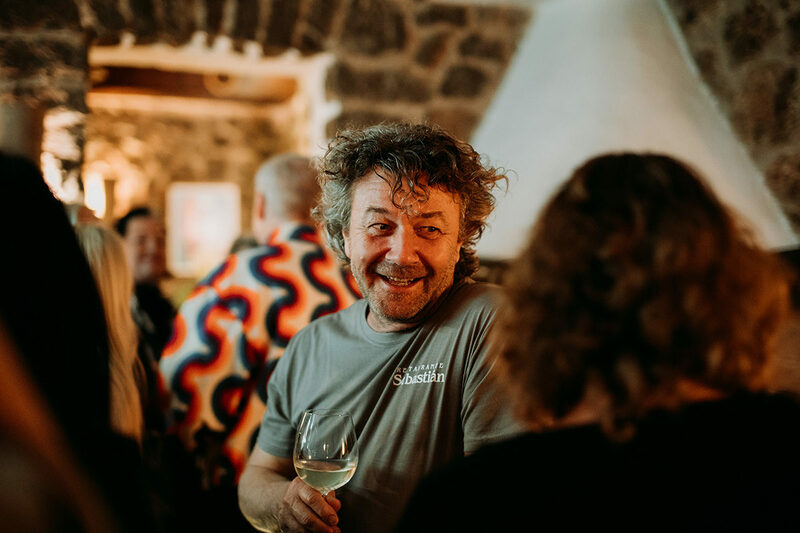 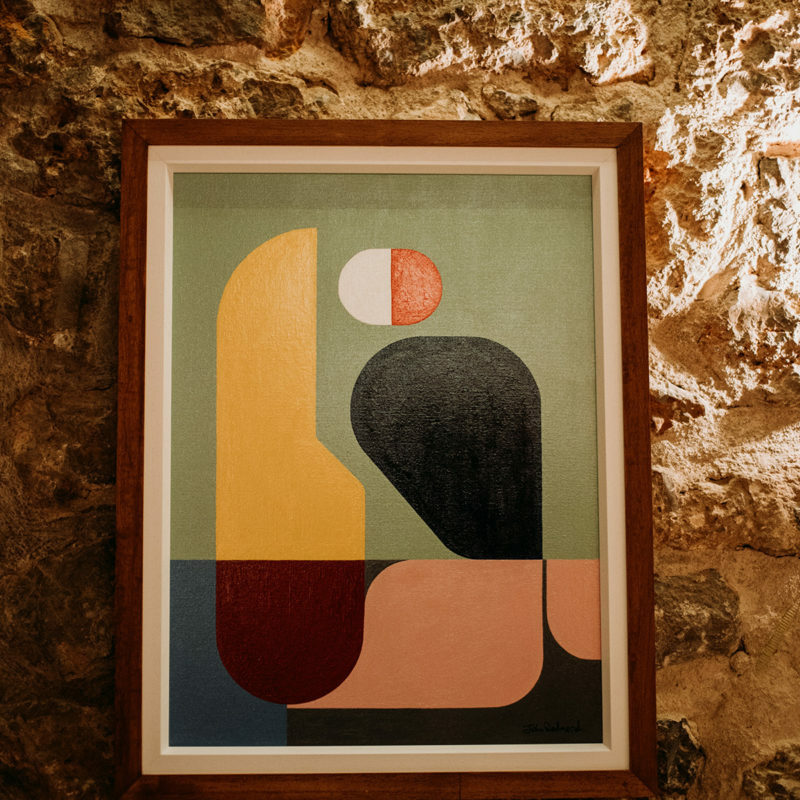 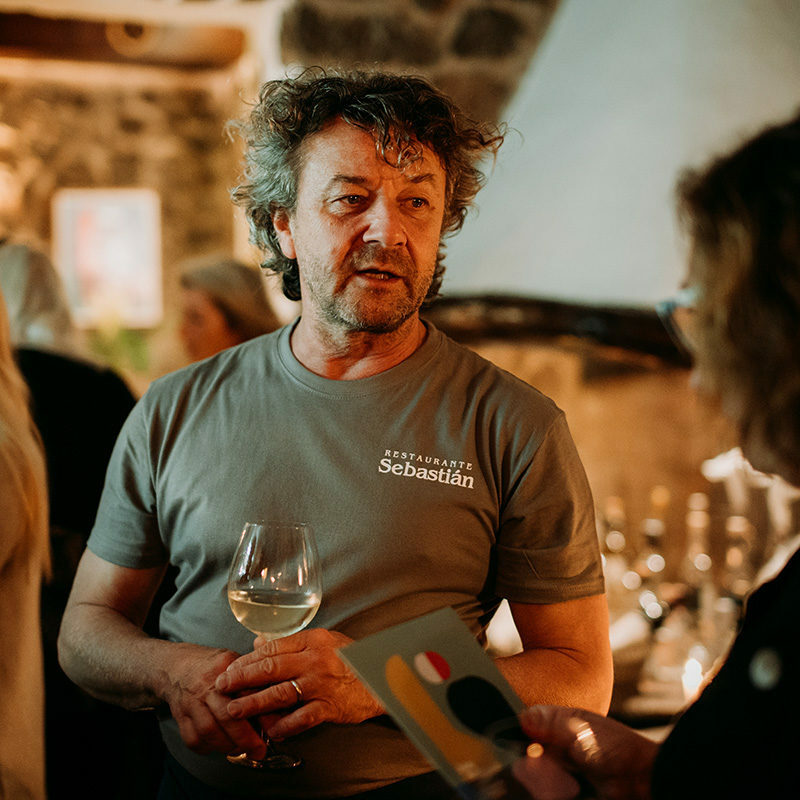 After a four-month winter break, Sebastian Pasch and Patrícia Sheridan from the Restaurante Sebastian welcomed diners again with an exhibition by Irish artist John Redmond. 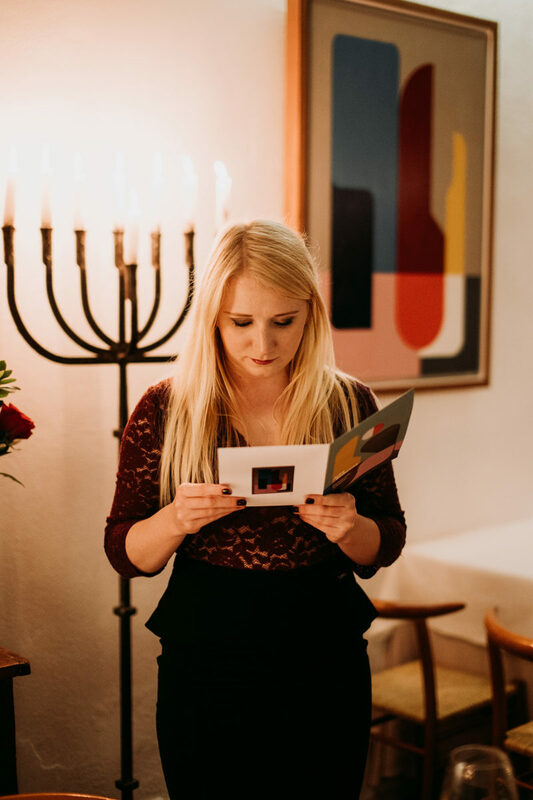 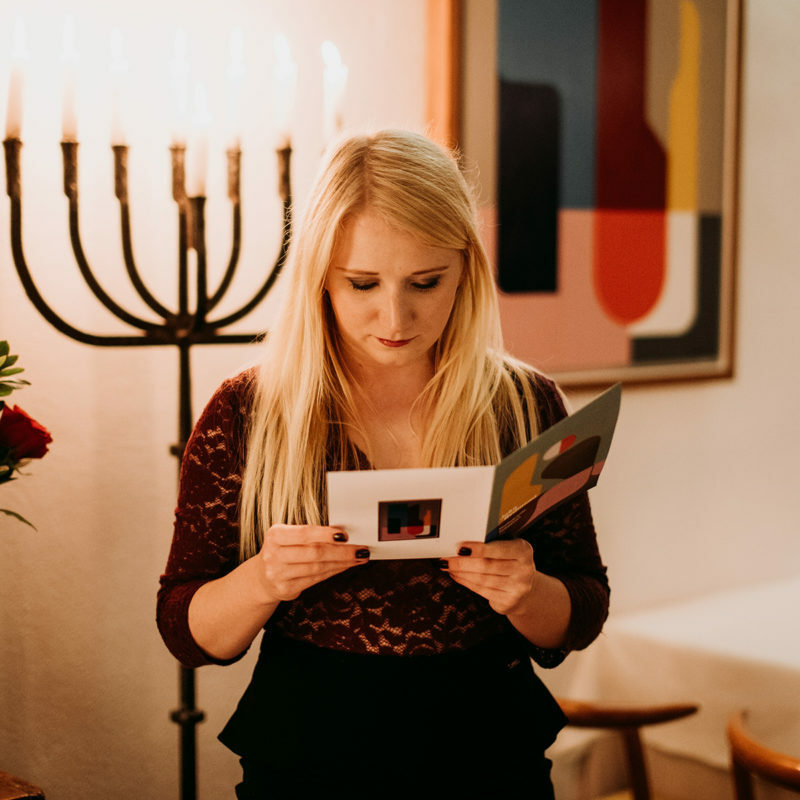 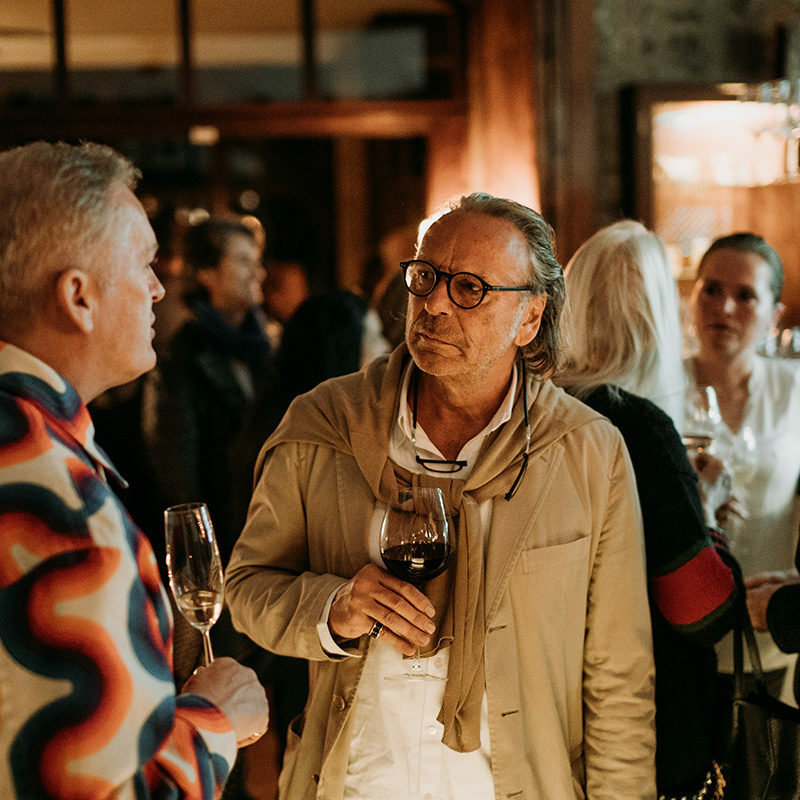 The opening was attended by more than 30 guests who came to look at the colourful works and toast the new season with a glass of bubbly and a delicious buffet. 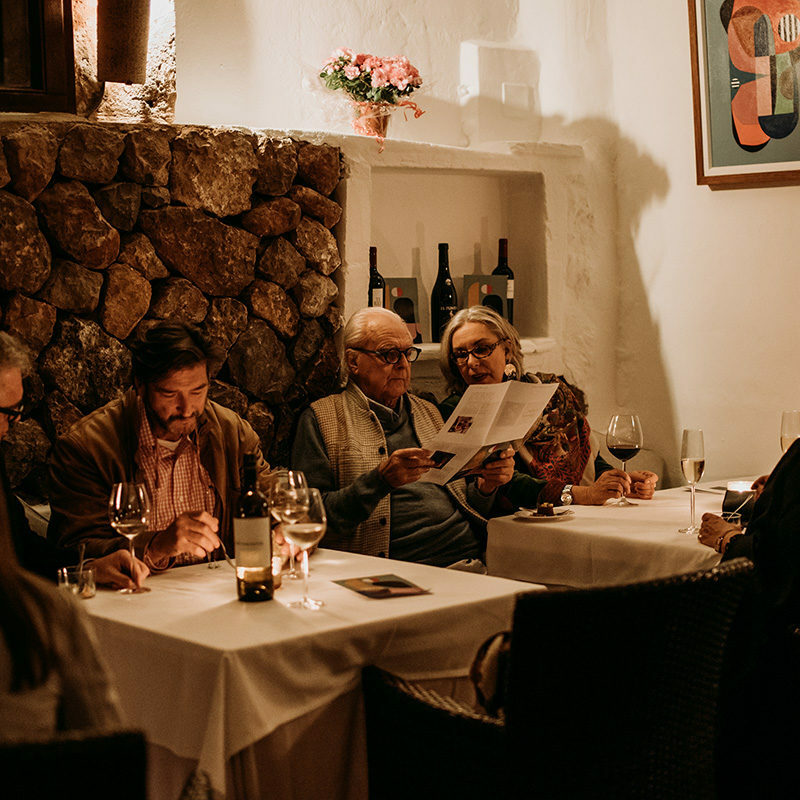 This year, the opening also had a special focus as the restaurant will celebrate its 25th anniversary in Deià in the summer. 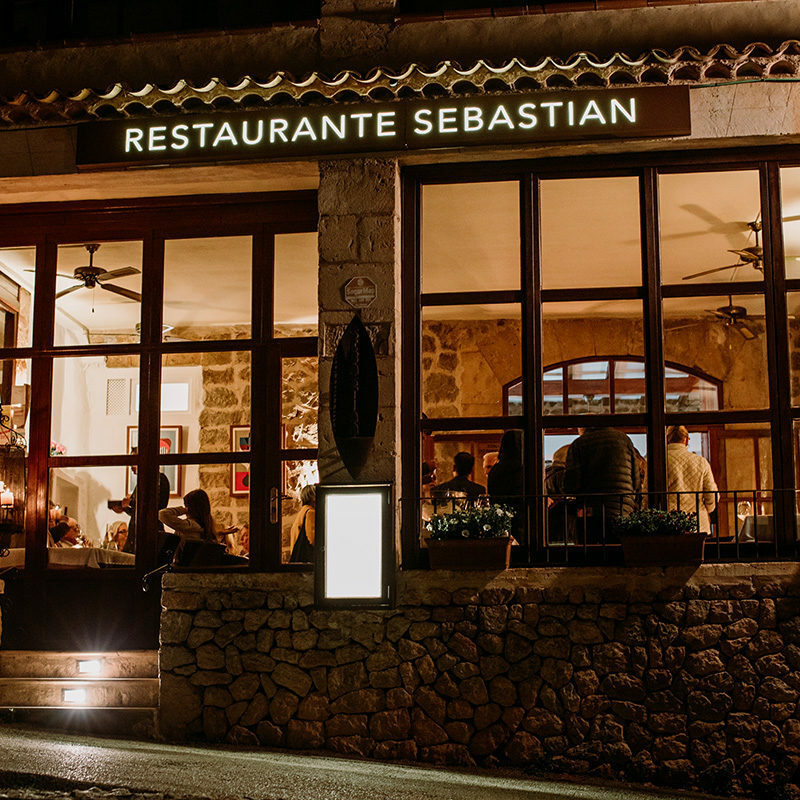 Hardly any other restaurant on Mallorca managed by non-natives has enjoyed such long-standing success. 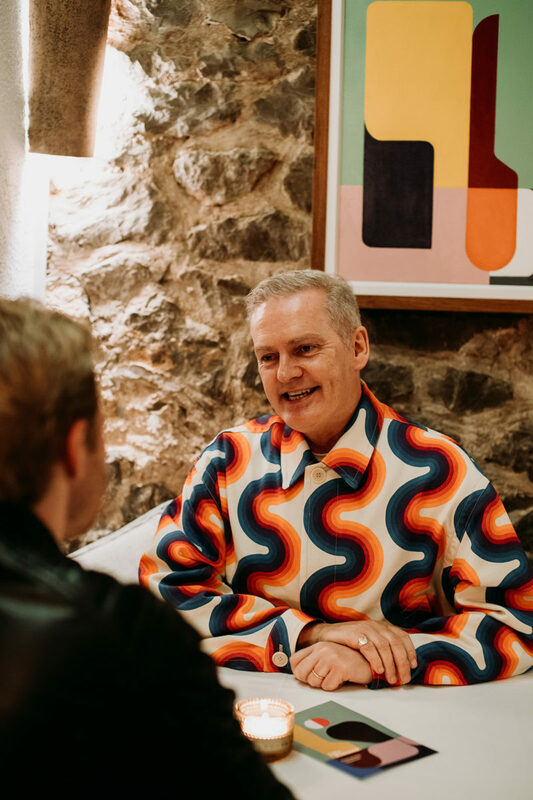 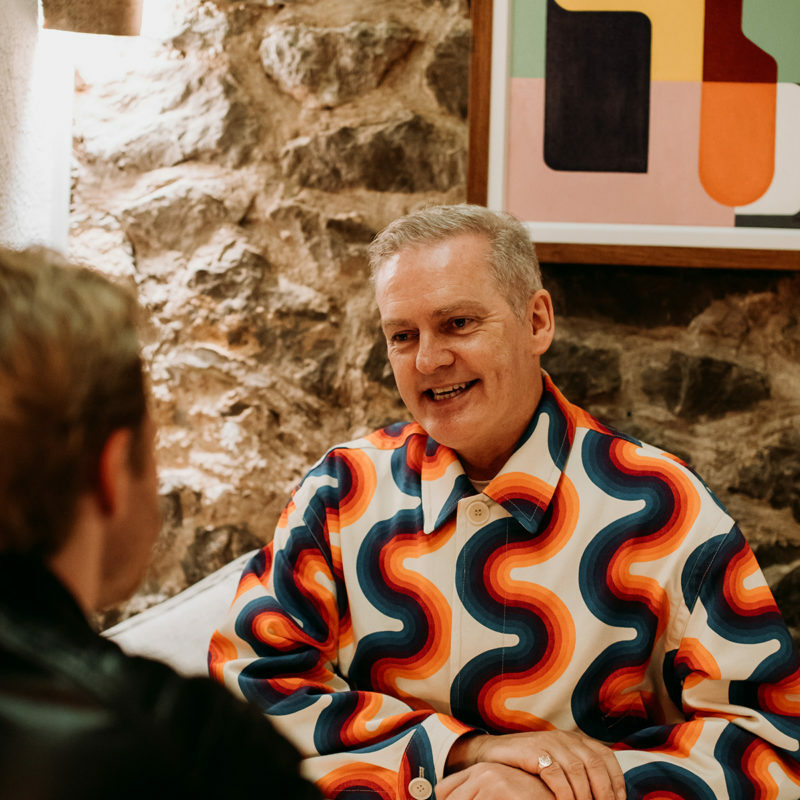 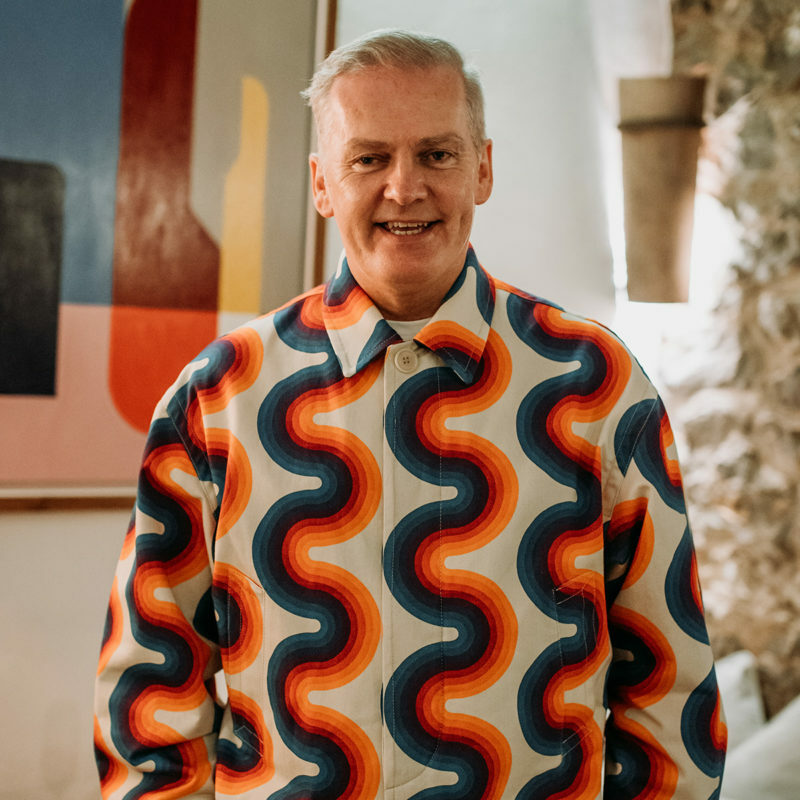 It’s impossible to oversee John Redmond who is wearing a bright shirt which is perfectly in keeping with his paintings which are inspired by Joan Miró, his greatest source of inspiration. 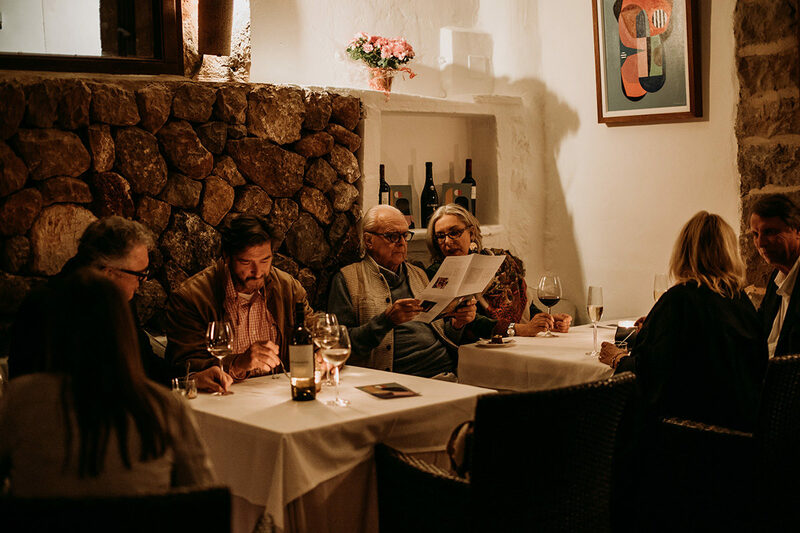 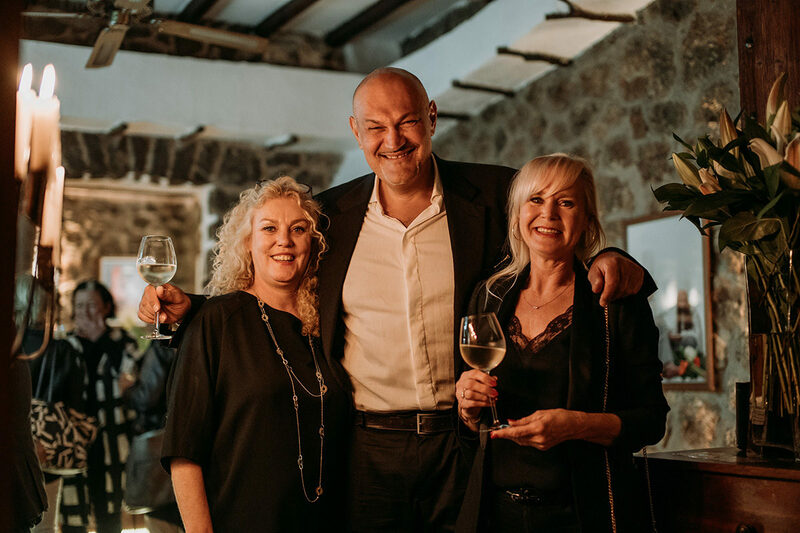 “We have been spending our holidays on Mallorca for more than 15 years and have been coming to the restaurant since then. 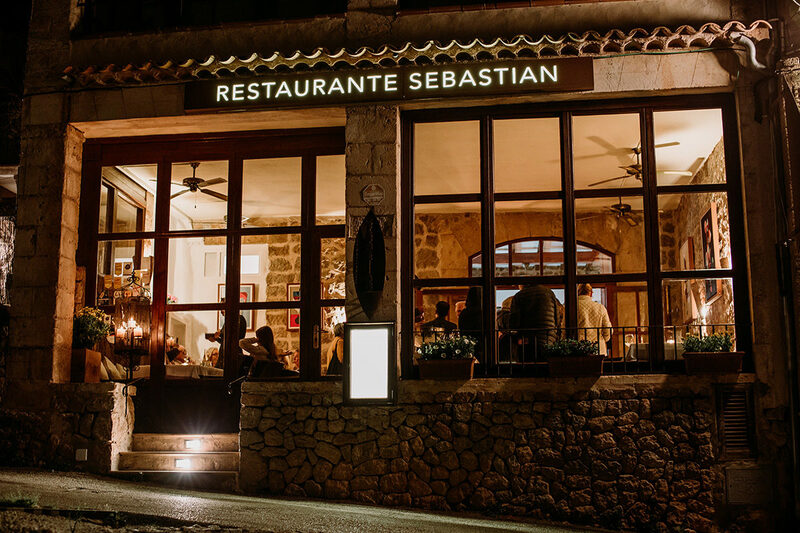 Last year Patricia and Sebastian asked me if I wanted to do a few works for them. 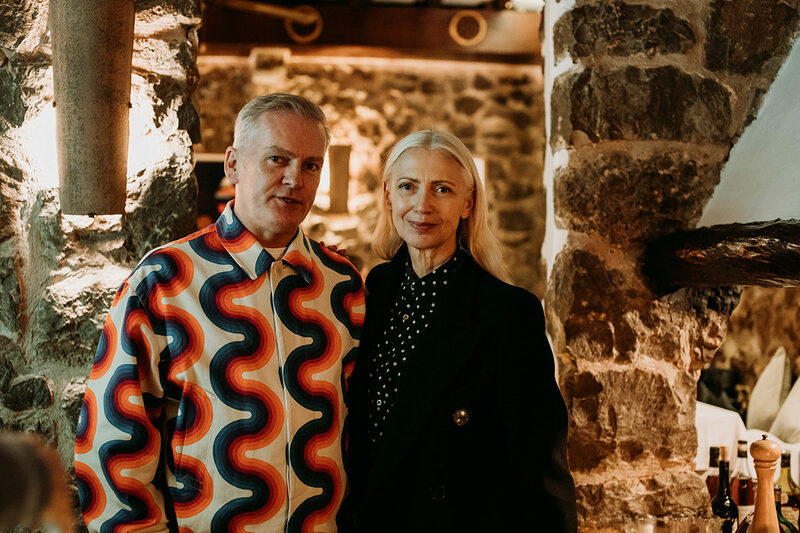 They have always given me such a good welcome and so I wanted to create something to celebrate their 25th anniversary,” said John. 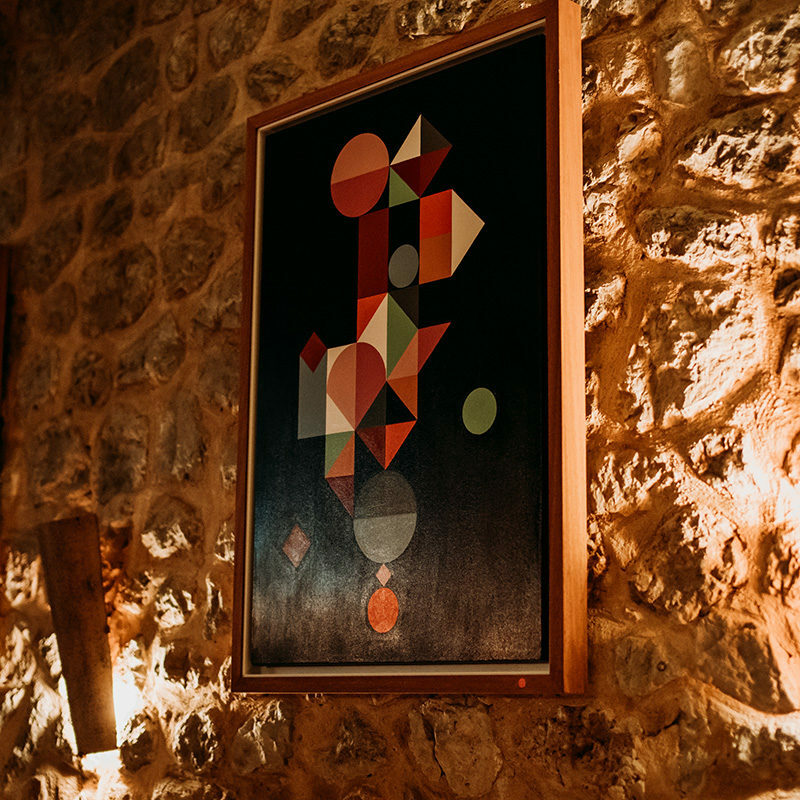 The result is twelve works which are inspired by Deià and which stand out with their sensitivity of colour and geometric forms. 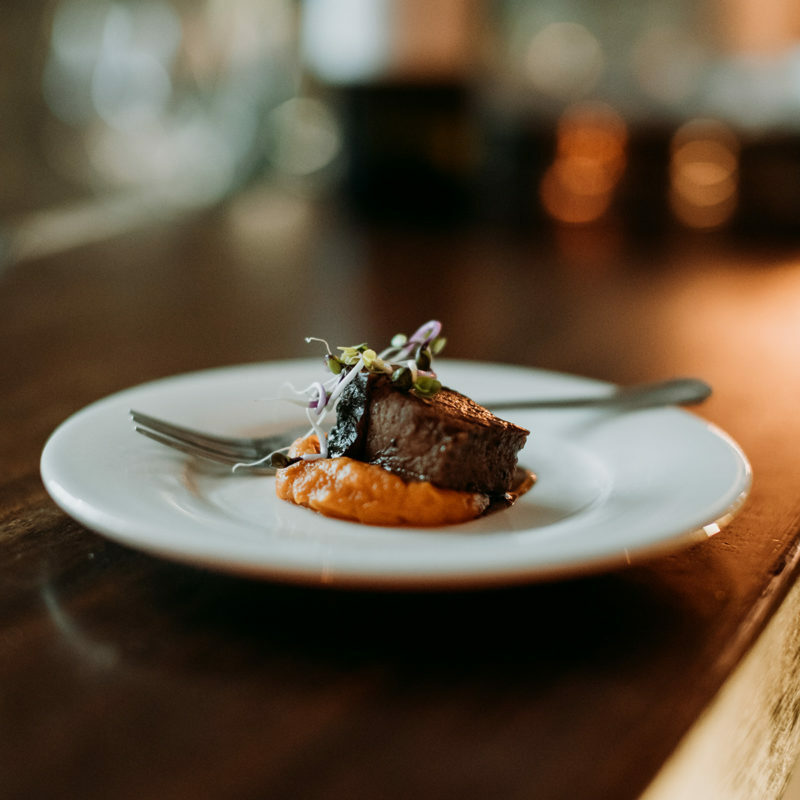 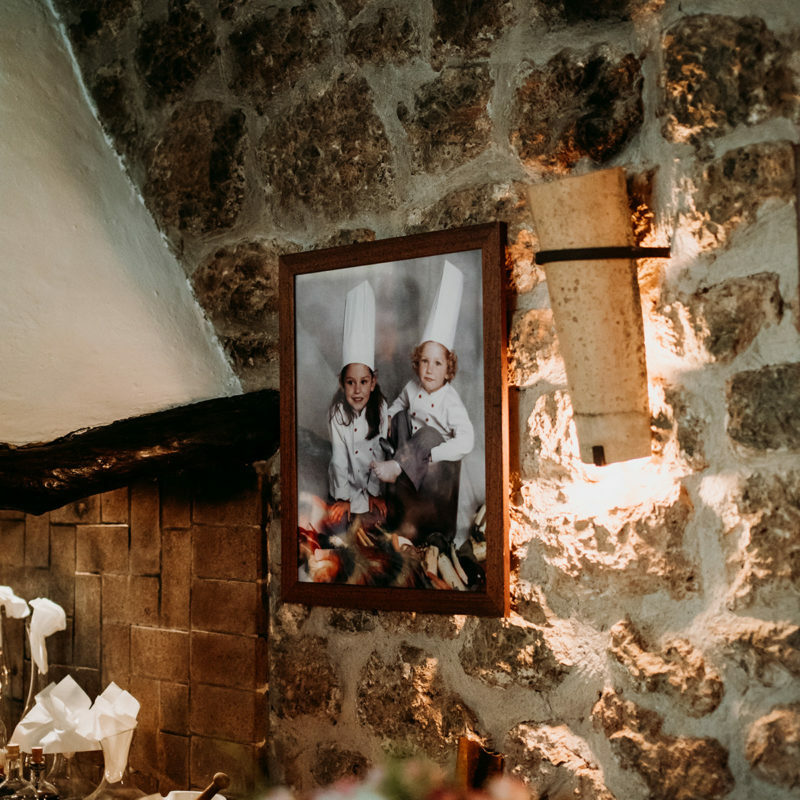 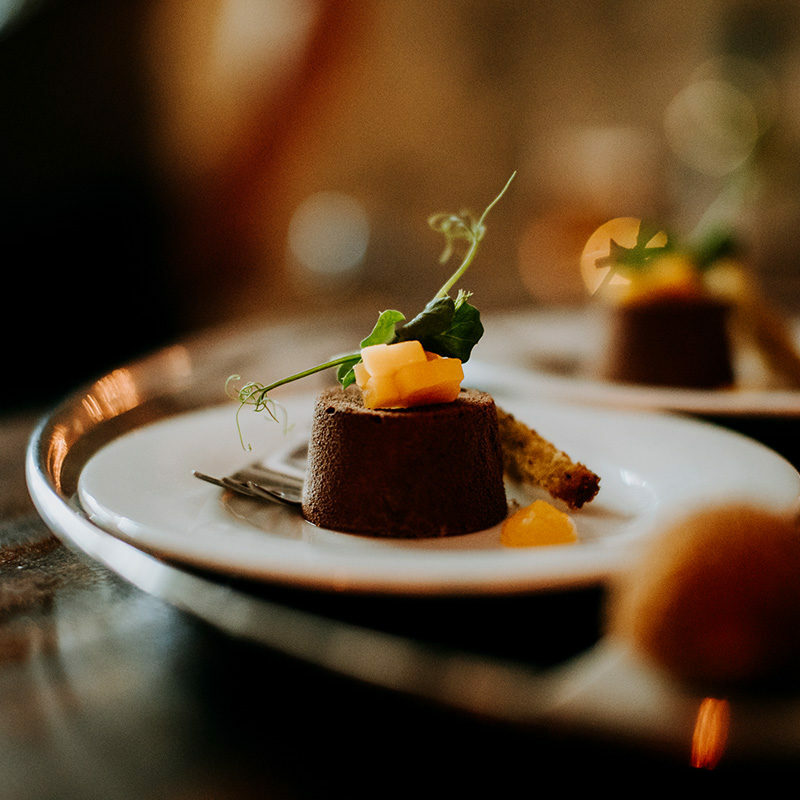 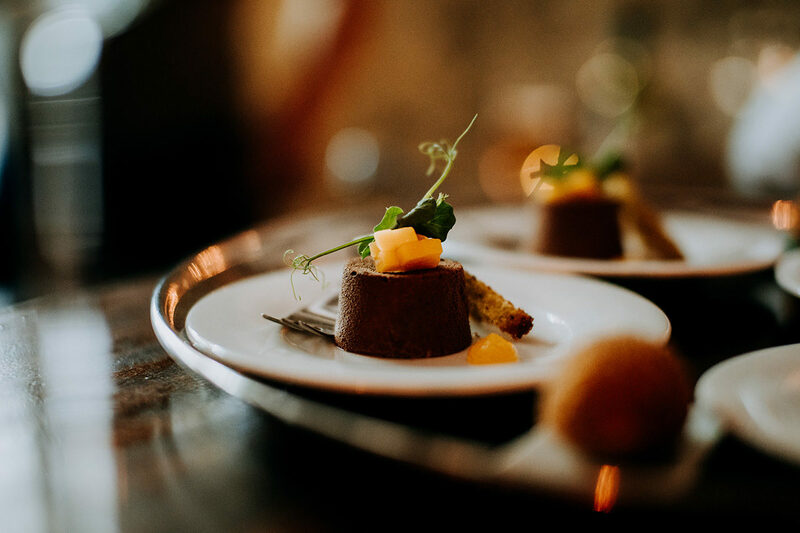 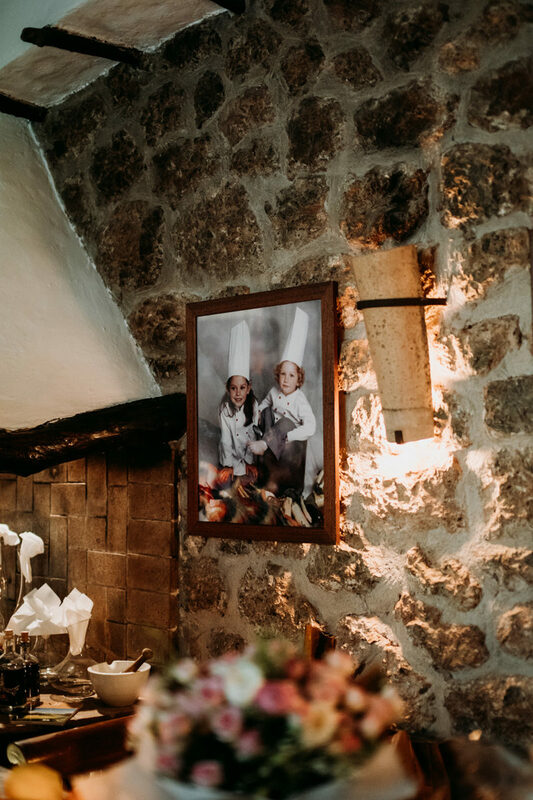 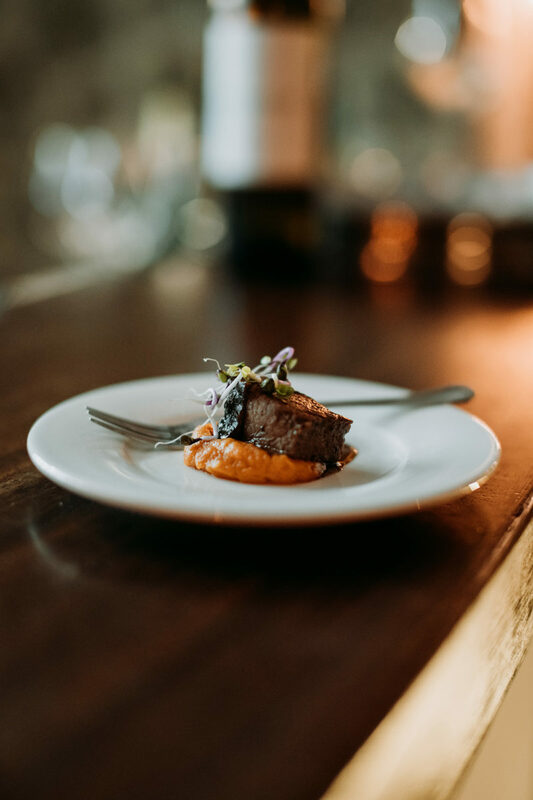 The contrast of the modern art and farmhouse-style traditional architecture – the restaurant is located in former 250-year-old stables – brings even more life to the atmospheric ambience. 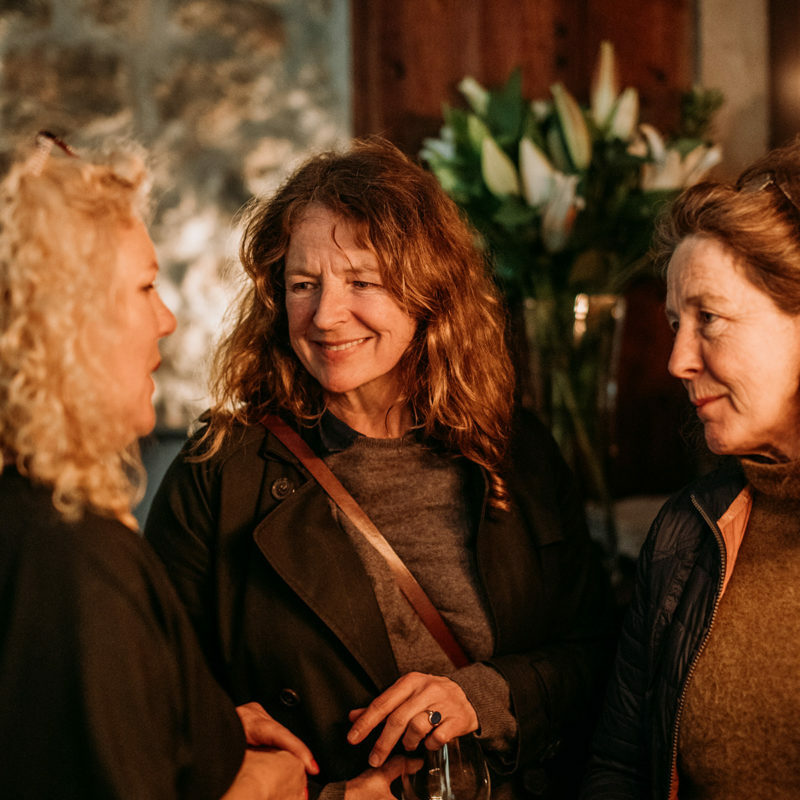 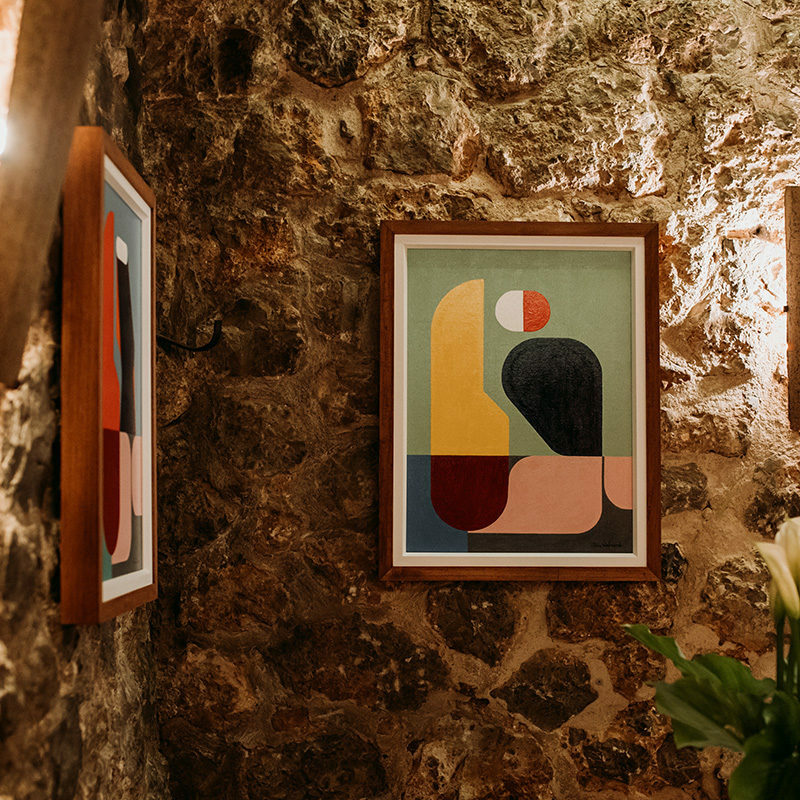 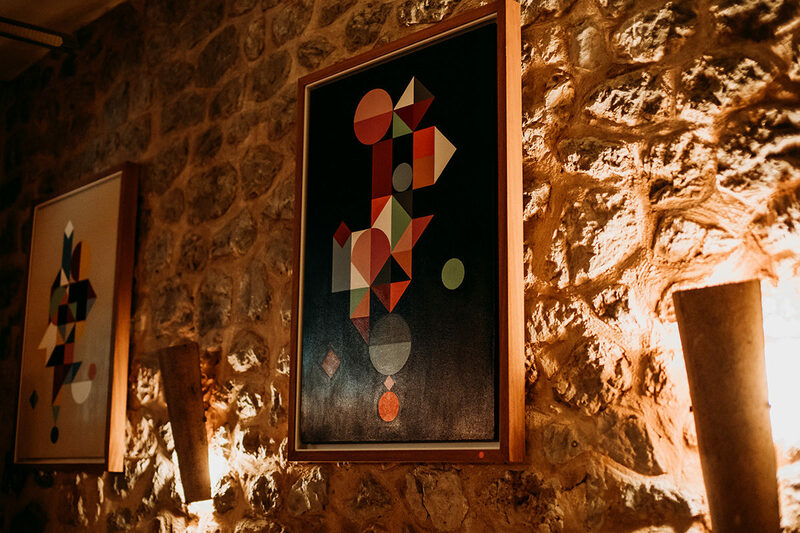 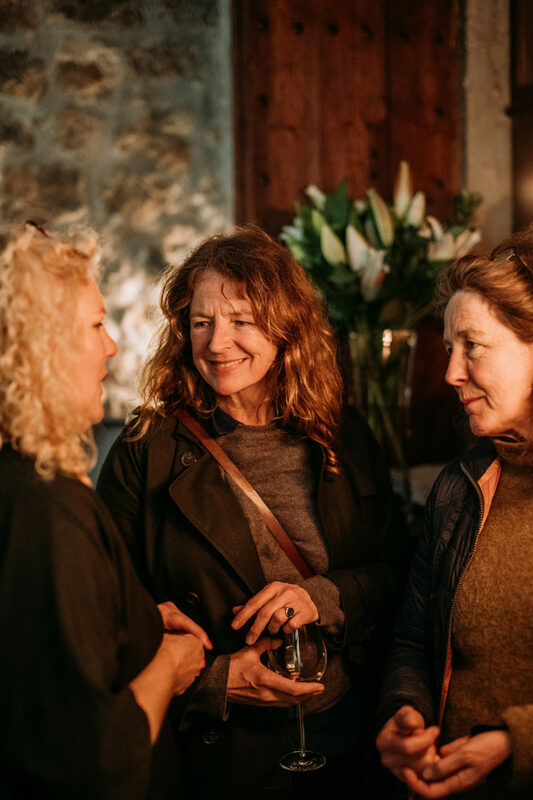 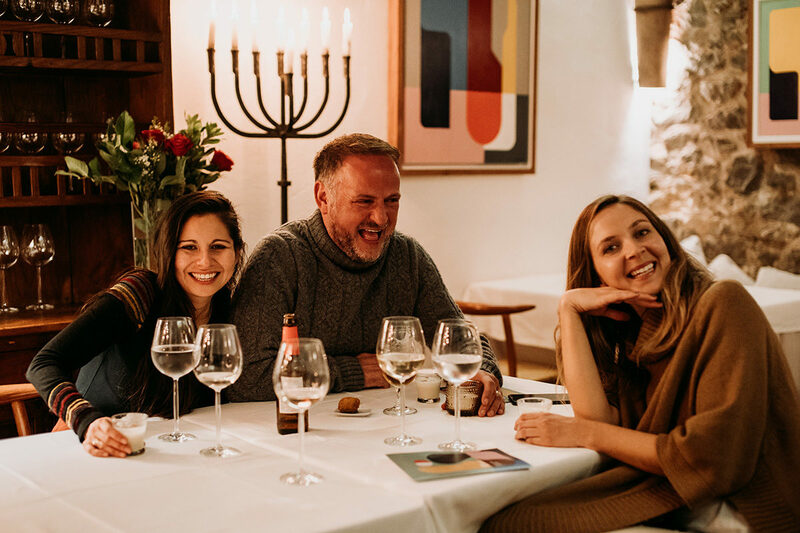 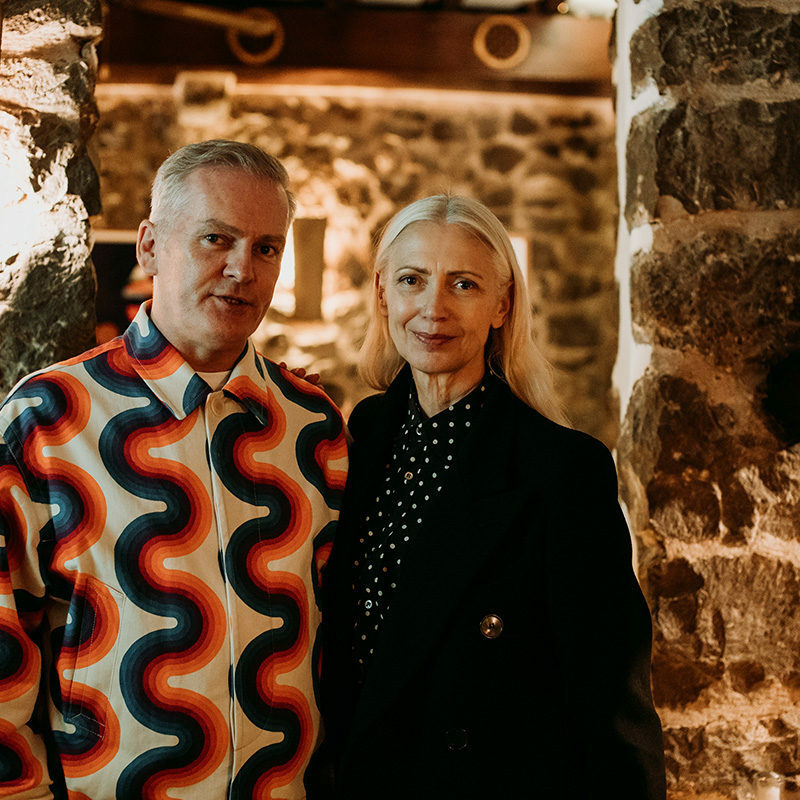 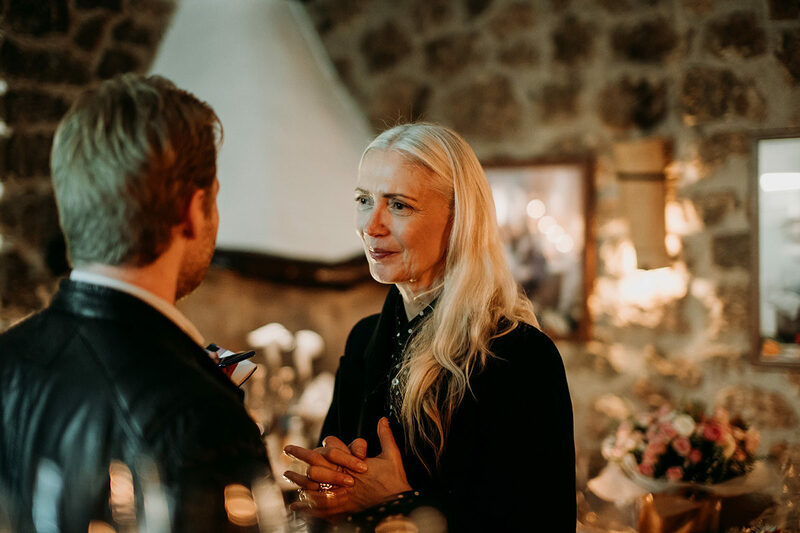 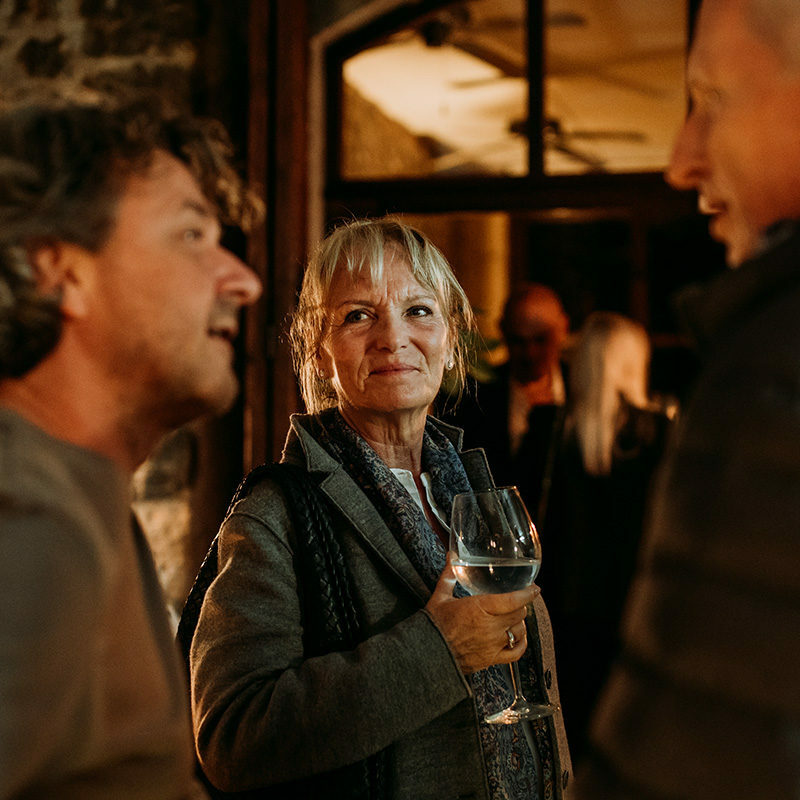 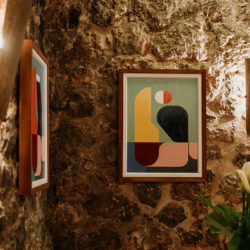 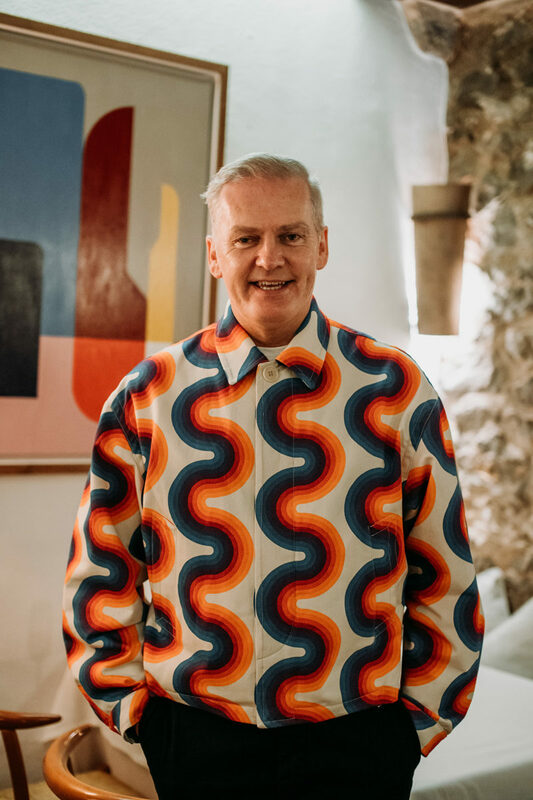 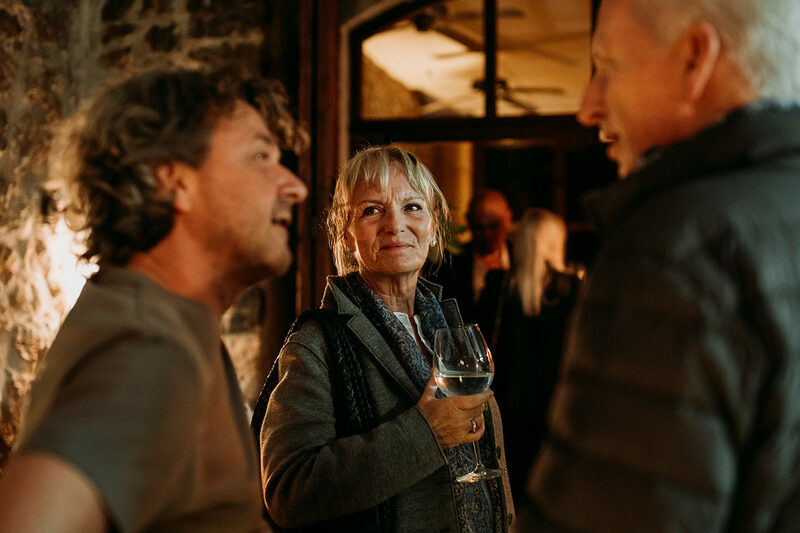 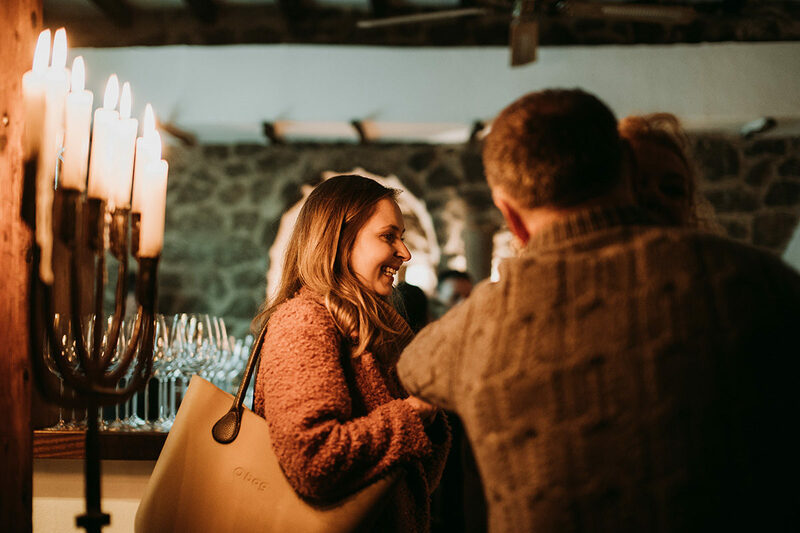 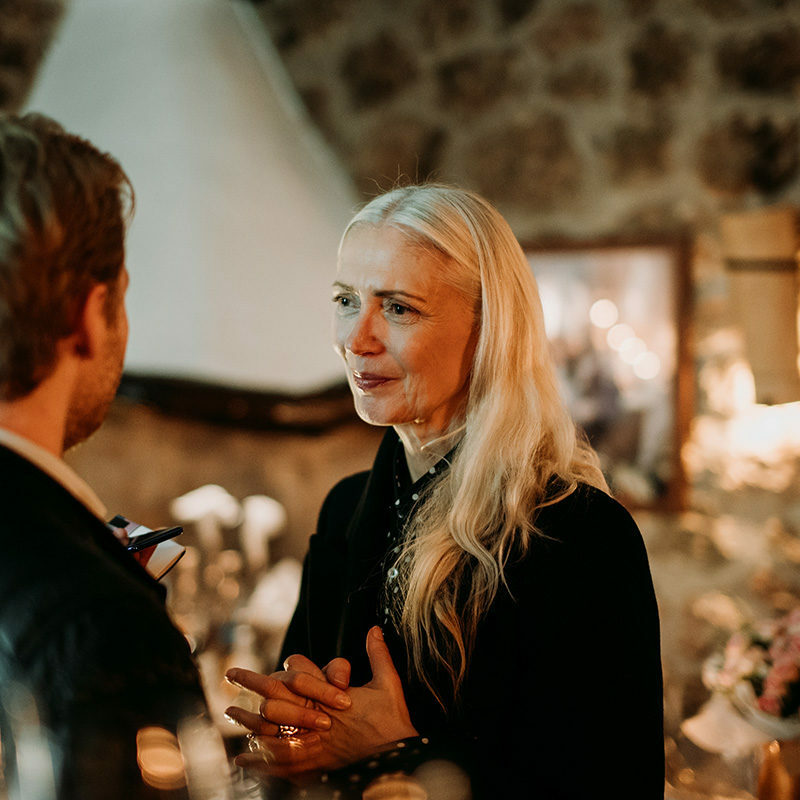 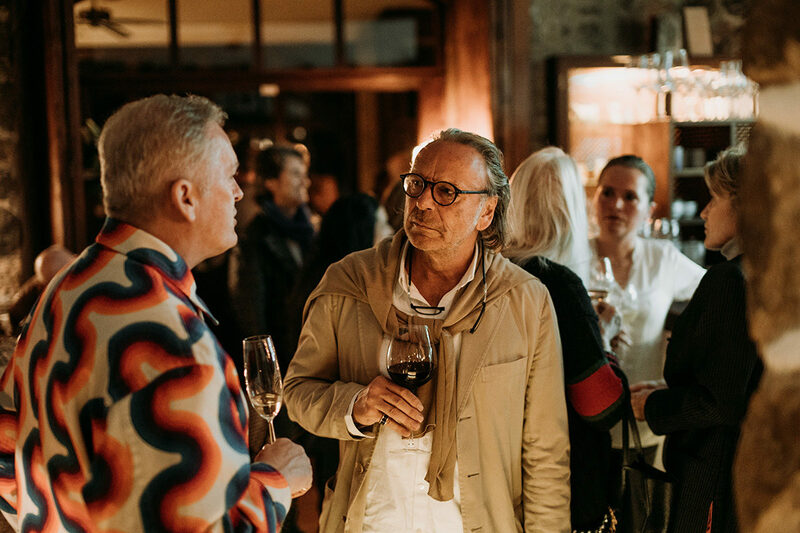 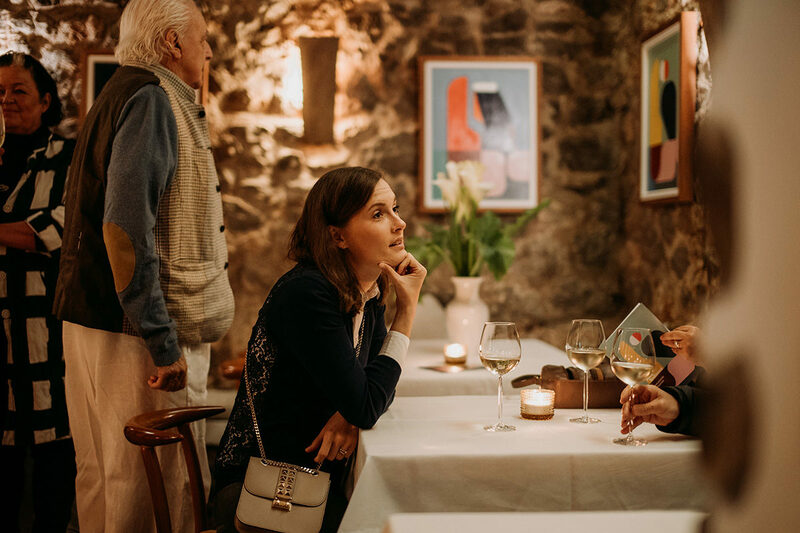 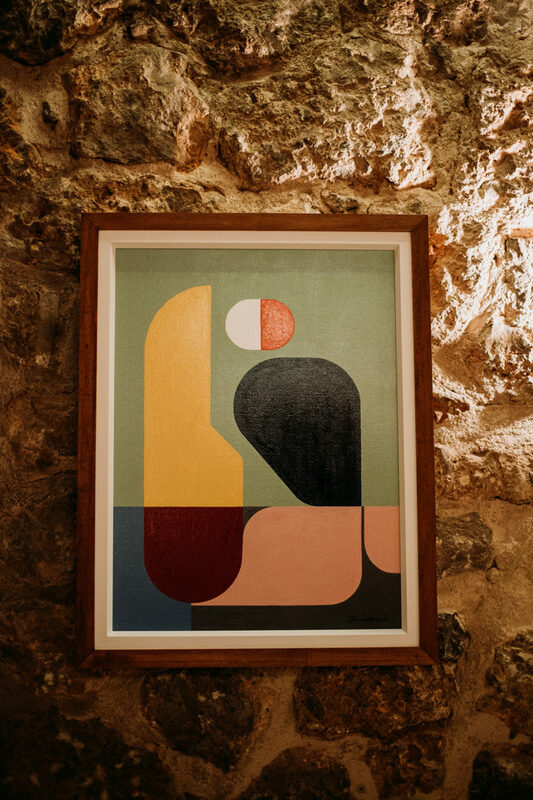 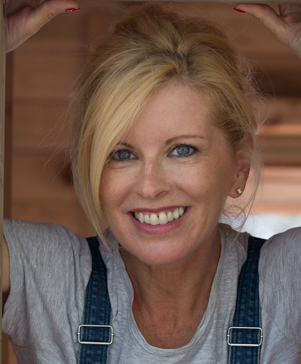 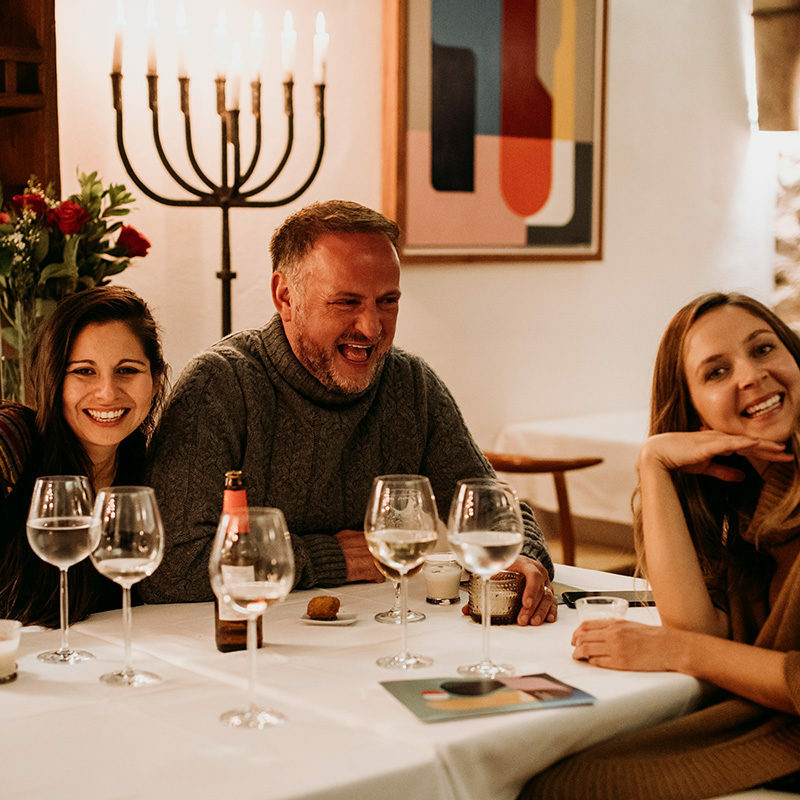 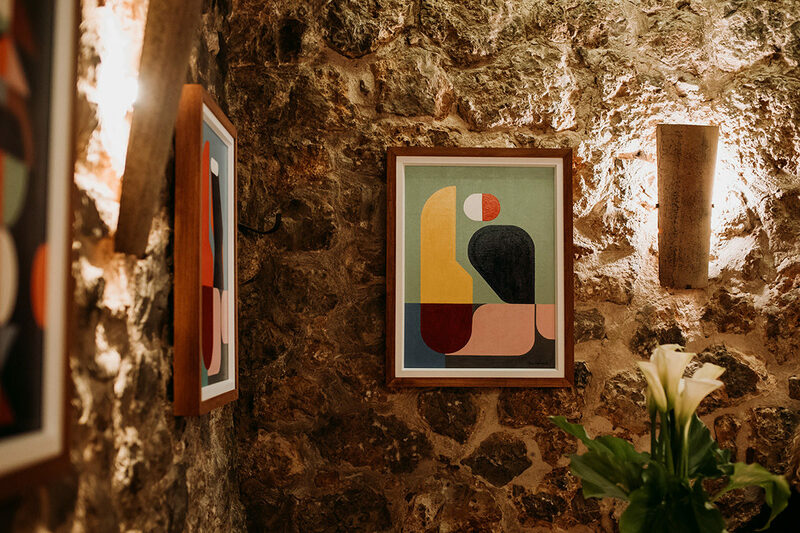 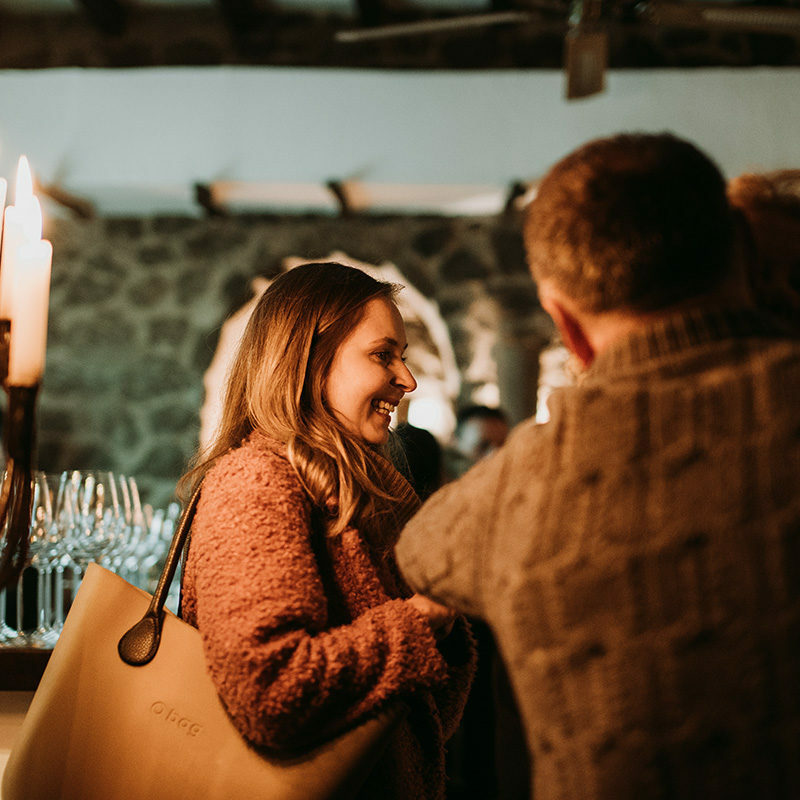 Christiane Arp, editor-in-chief of Vogue Germany, also likes this combination – they are connected not only by their love of Deià but also their friendship with Sebastian and Patricia: “My husband was, so to speak, the first guest here in the Sebastian,” she says.